So, I like purple. Always have. I remember I had a cardigan once my Aunty knitted me. It was purple, and warm, and I wore it everywhere. 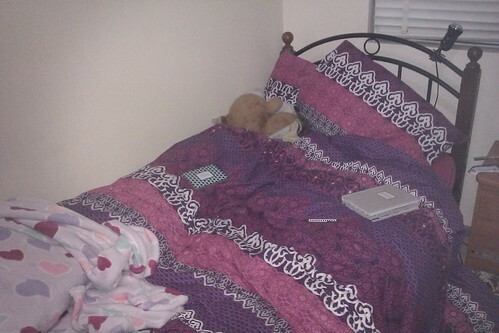 :) When I got to choose the colours for my room, I went for lilac. 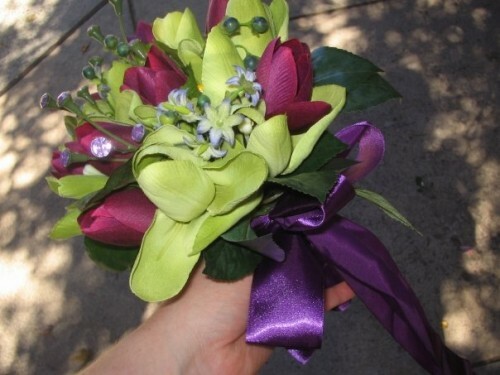 I was stoked when the bouquets for my sister’s wedding had purple ribbons. It goes on. There’s a lot less purple in my wardrobe these days, but I still have a bunch in the accessories department (gotta have some sparkle in my mostly grey and black clothing! You’d think I lived in Melbourne or something.) 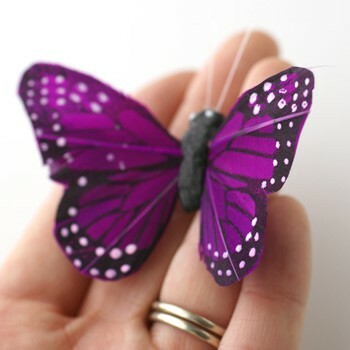 Like the Butterfly clip above. 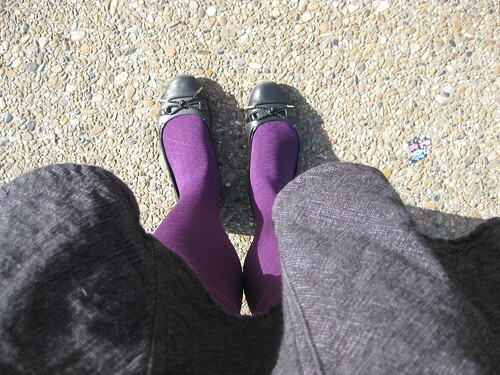 Many pairs of purple tights have been in my life. 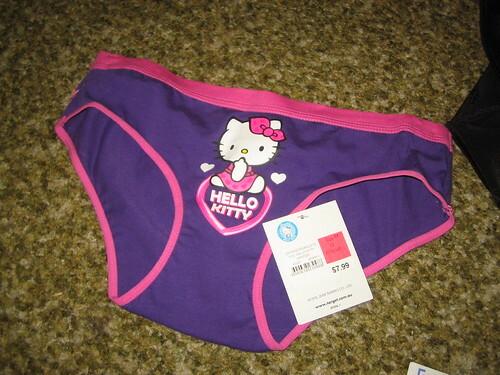 And of course Hello Kitty AND Purple? I’m in! 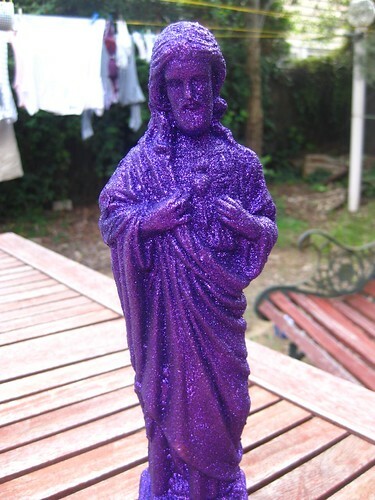 And there was that short lived affair with the Purple Glitter Jesus Moneybox. (JESUS SAVES!!!!) How is he going, Hannah? What’s your go to colour?? He lives with my parents, much to my dad’s chagrin. My go-to colour is cream. So boring, I know! I have started adding a lot of orange to my regimen, so maybe that can be my new go-to colour. My GHD is black and gold and came in a fabulously tacky gold and black satin and brocade box with a gold gilt mirror accessory. Fabu! The boxes are so shiny! I’m wearing it right now! !